No one plans to get in a car accident, yet they happen all the time. In fact, Floridians experienced nearly 400,000 total reported crashes in 2016 alone. Almost half of those incidents involved injuries. If you find yourself dealing with the aftermath of a serious auto accident, you may wish to consider competent legal assistance to assure the outcome you deserve. Distracted driving: There has been enough media coverage on this topic that it should surprise no one that it tops the list of accident causes. So heed the warning: do not text, groom, eat or turn around to deal with what’s going on in the back seat of the car. Speeding: The second most common cause of accidents, speeding far too often does not deliver you to your destination safely. Stick to posted limits. Drunk driving: Whether or not you have hit the legal limit, do not get behind the wheel if you have limited capacity. Hand your keys to a friend and call a taxi or drive-share service. 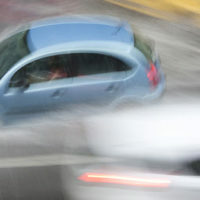 Reckless driving: Often hand in hand with speeding, reckless driving is unsafe. Avoid frequent lane changes and aggressive behavior behind the wheel. Inclement weather: Wet roads impact the way your car handles. Keep in mind that posted speed limits are maximums. When rain or fog impairs visibility or traction, slow down. Running red lights: Some drivers think a yellow light is a signal to speed through an intersection. Putting yourself in harm’s way to save a few seconds at a red light all too frequently results in an unnecessary collision. Night driving: Reduced visibility is a call to slow down. Be sure your headlamps are on, and watch for hazards that may come out of the shadows. Tailgating: Remember the old advice to keep one car length for every ten miles per hour you are traveling. Give yourself some space, especially on busy highways and at high speeds. Wrong-way driving and turns: Pay attention to road signs so you don’t find yourself going the wrong direction on a one-way street or ramp. And when U-turns are forbidden, adhere to the law. Those signs are posted for a reason. Construction sites: When cones and gravel appear on the highway, ratchet up your focus and be on the lookout for hazards. Animal crossings: Signs warning of animal crossings designate spaces where animals tend to frequent. Use caution in these areas, particularly at dawn and dusk. Potholes: As frustrating as they are, potholes appear on roadways all over the state. Be aware of traffic near you, and be cognizant of what a last-minute swerve may cost you. Focusing on the road is key to a safe commute. But when you can’t avoid an accident due to the actions of other drivers, you may need the experience of the Law Offices of Robert W. Elton in Daytona and Ormond Beach to litigate a fair settlement. Contact us for a free, confidential consultation.